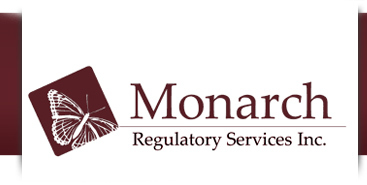 Monarch Regulatory Services complies with the Privacy Information Protection Act (PIPA) and the Privacy Information And Electronic Documents Act (PIPEDA). Information collected on the registration form used is in the normal course of registration, communication and certification at Monarch Regulatory Services in accordance with these legislations. If you have any questions about the collection or use of the information, contact us at 905-628-6631. 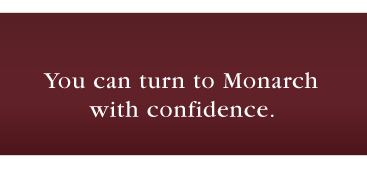 Monarch Regulatory Services is the sole owner of the personal information collected from this site. We will not sell, share, or rent this information to others. This web site contains links to other sites. Please be aware that the Monarch Regulatory Services is not responsible for the privacy practices of such other sites. We encourage our users to be aware when they leave our site and to read the privacy statements of these third party sites. This privacy statement applies solely to information collected by this Web site. This can usually be done at the edit my profile at the bottom of the e-mail broadcast or by sending an email to info@monarchregservices.ca.